This recipe is adapted from Modern Maple by Teresa Marrone, published by the Minnesota Historical Society. The book has a few excellent desserts including one I can’t wait to try for maple ice cream, but it also includes appetizers, entrees and sides that feature maple syrup. I mentioned it earlier when I made the incredible Maple-Cranberry Scones and I’ll probably mention the book again because I can’t stop baking from it. As for these cereal treats, I think I liked them even better than the usual rice treats. They sliced very neatly and cleanly and had a very subtle maple flavor. Rice Krispies treats made with maple syrup. Line a 9x13 inch pan with nonstick foil or parchment paper. Alternately, you can use regular foil and rub it generously with extra butter. Also have ready an extra sheet of nonstick foil or parchment. Put the cereal in a large mixing bowl and set aside.Note: The original recipe instructs you to grease the bowl. I forgot to do this and didn't have any problems with sticking. It seems like a good idea, though. In a large nonstick saucepan, melt the butter and maple syrup together, stirring constantly. Boil gently for two minutes over medium heat, stirring constantly. Reduce heat and boil for another 30 seconds. Add the marshmallows and stir until melted, then pour mixture over the cereal and stir well. Pour into the pan. Lay the extra nonstick foil sheet (or parchment or buttered foil) over the cereal mixture and press down firmly. Let cool completely. Lift from pan and cut into squares or bars. I’ve bookmarked these to try soon. I’ll have the opportunity to be in Canada in a few days and am going to check into stocking up with maple syrup while I’m there! Now I’m off to check out modern maple and your new facebook page! in Rice Krispies treats. Sounds like a great trip! Maple rice krispy treats sound great! I always have maple syrup and extract on hand. How about a little chocolate frosting too.. Maple rice crispy treats sound great! I always have maple syrup and extract on hand. I’m thinking I need to take a trip to Canada one of these years. 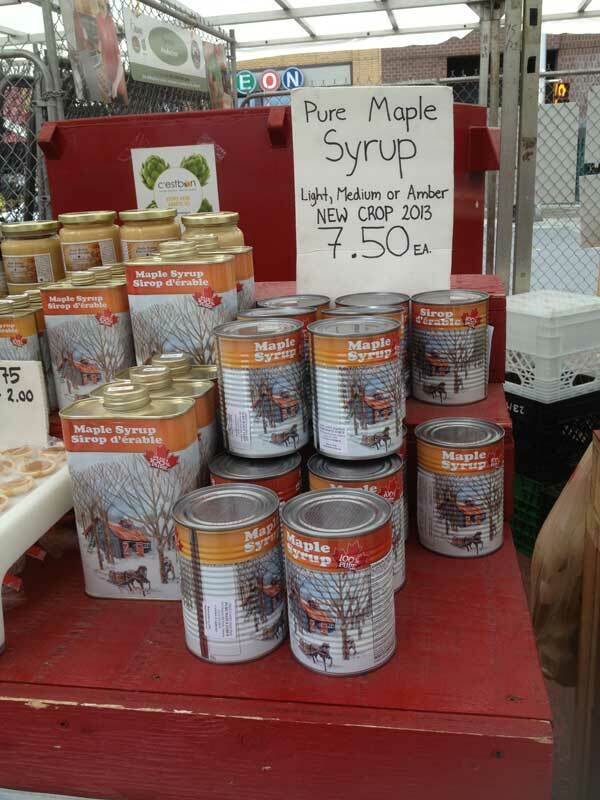 What is the limit on the amount of maple syrup that can be brought across the border? 😉 Until I get there, though, your recipe will make me very happy. 🙂 Maple syrup is a keen favorite of mine. I love maple syrup but buying it at the grocery store is like buying gold. Wish I had one of those big ol’ cans. I should track down that book. It sounds like something a Minnesotan with an affinity for maple syrup should own. I like the idea of rice krispie treats with maple syrup but I’m especially interested in maple syrup ice cream. I’ve been meaning to experiment with some non dairy ice creams this summer but so far have not done it. Gone too much with my Mom is who is very ill and too tired and behind with my work when I’m home. poor me! haha! I’ve been baking vicariously through you so thanks!